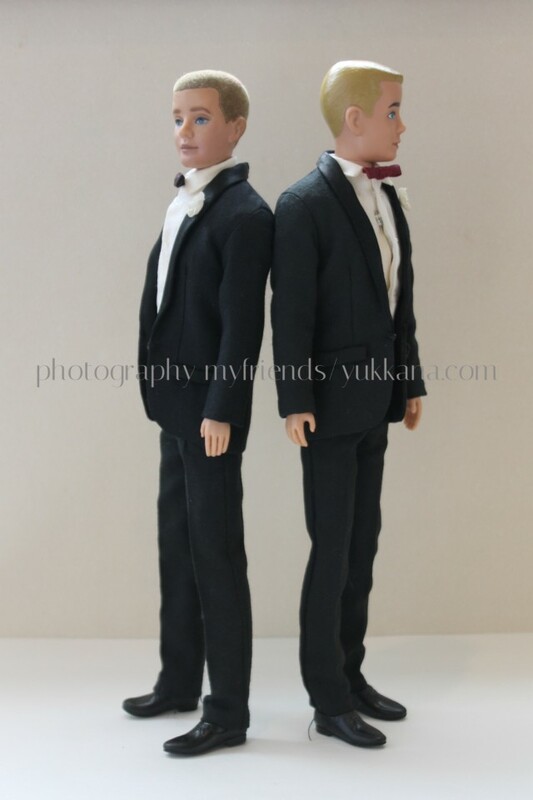 1961 Kens and 1963 Ken in 1961 Tuxedos. 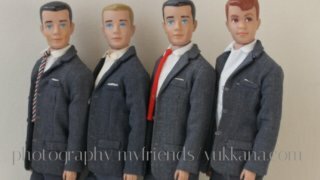 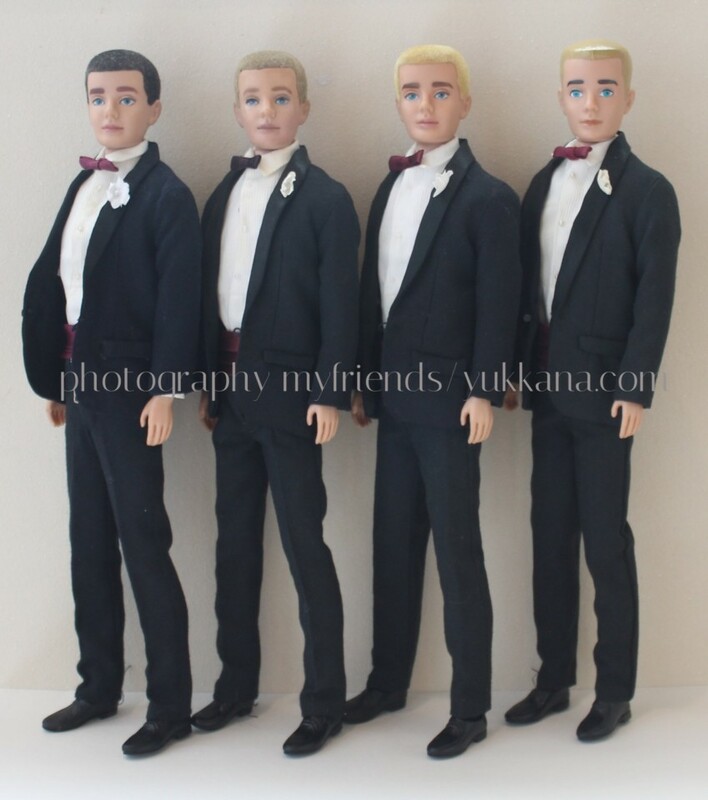 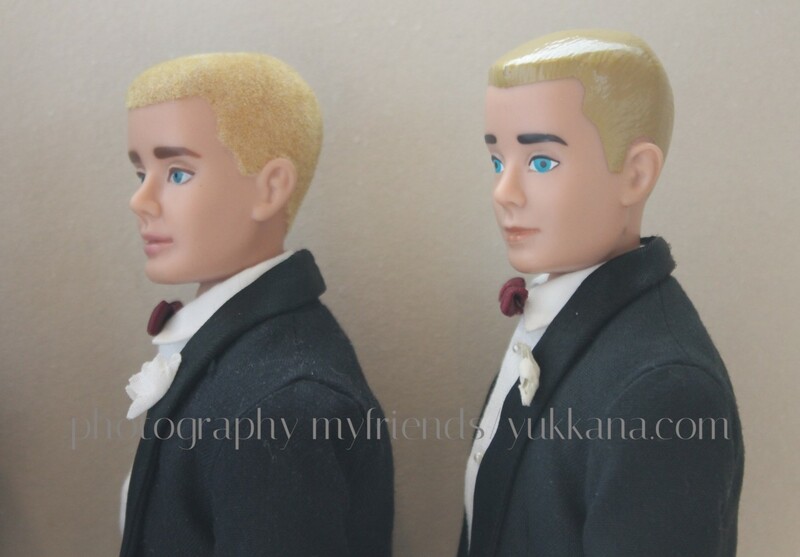 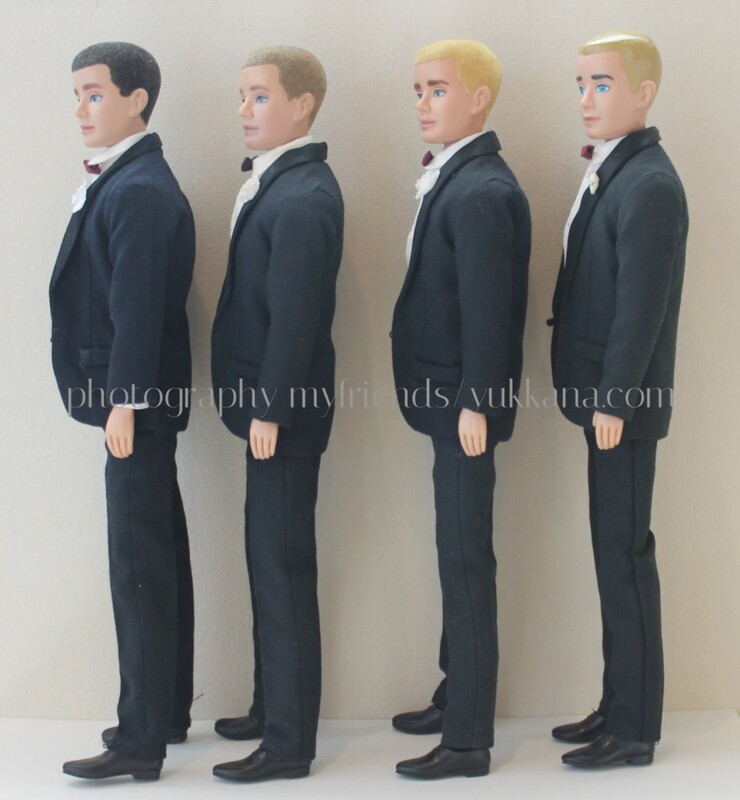 from the left, 1961 brunette flocked hair Ken, 1961 brownette flocked hair Ken, 1961 blonde flocked hair Ken, 1963 blonde painted hair Ken. 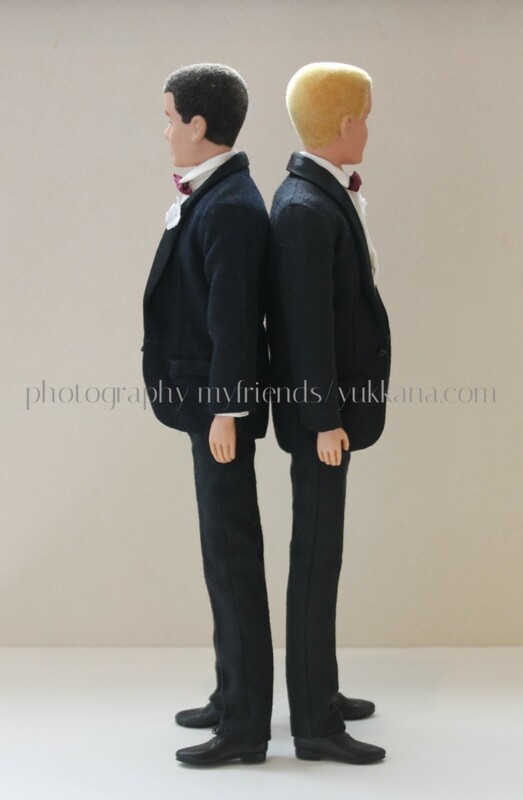 For design of Tuxedo’s trousers, insert side line fabric bitween front part and back part. 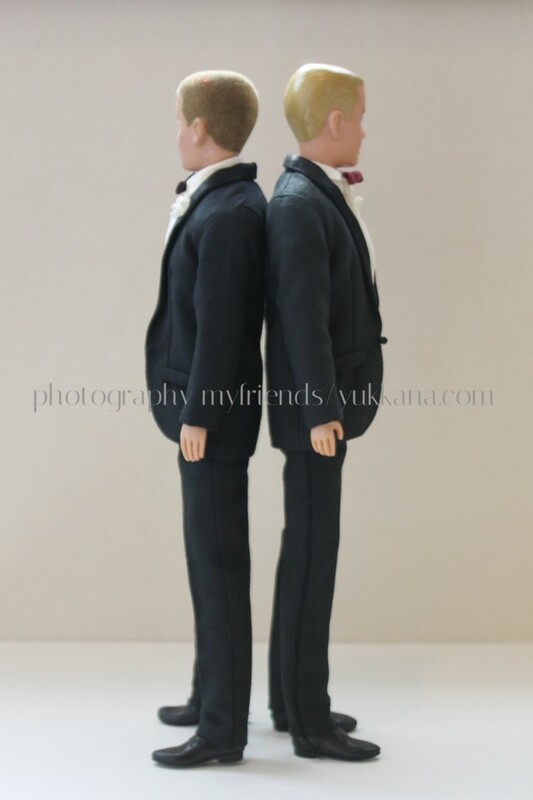 Tuxedo’s trousers are composed of 4 parts. 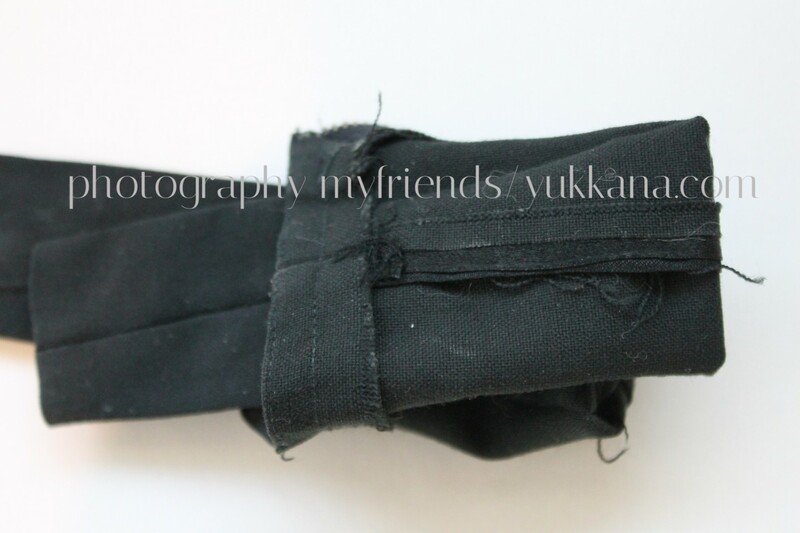 This is 1961 Casuals’s trousers. 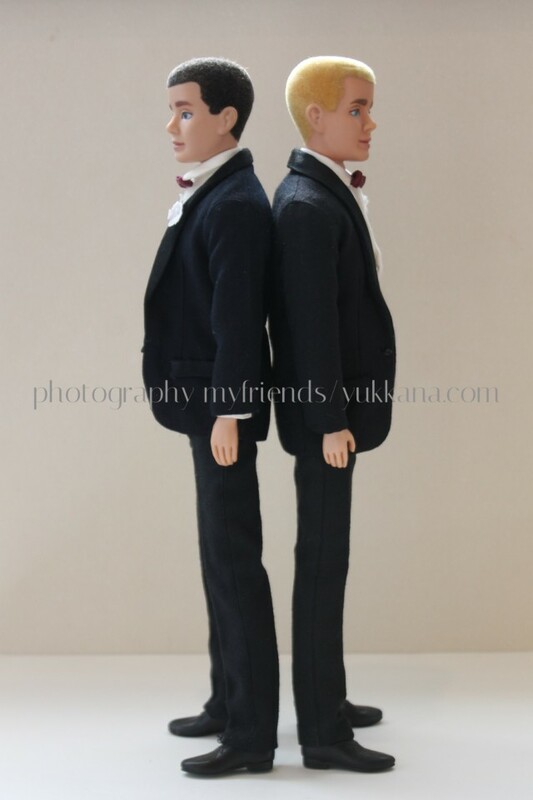 normally, vintage Ken trousers are composed of 2 parts as this. 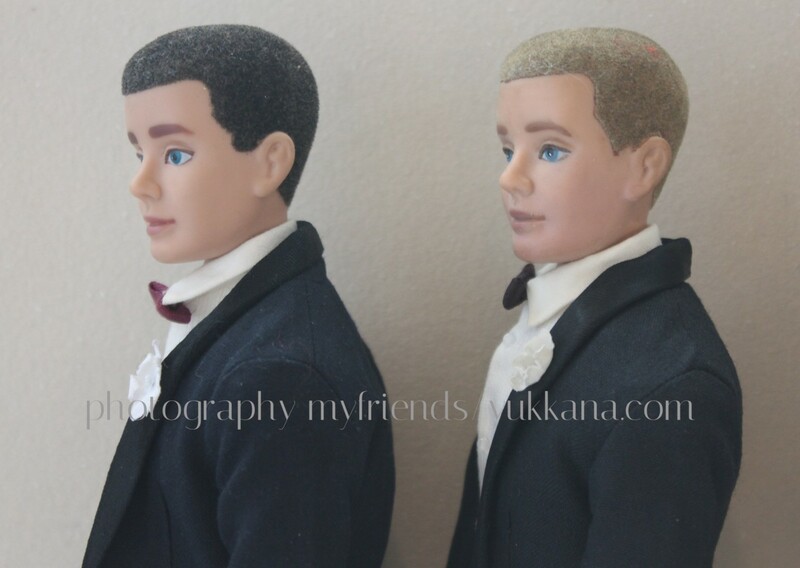 They just consists of a plastic and fabric-so beautiful forever. 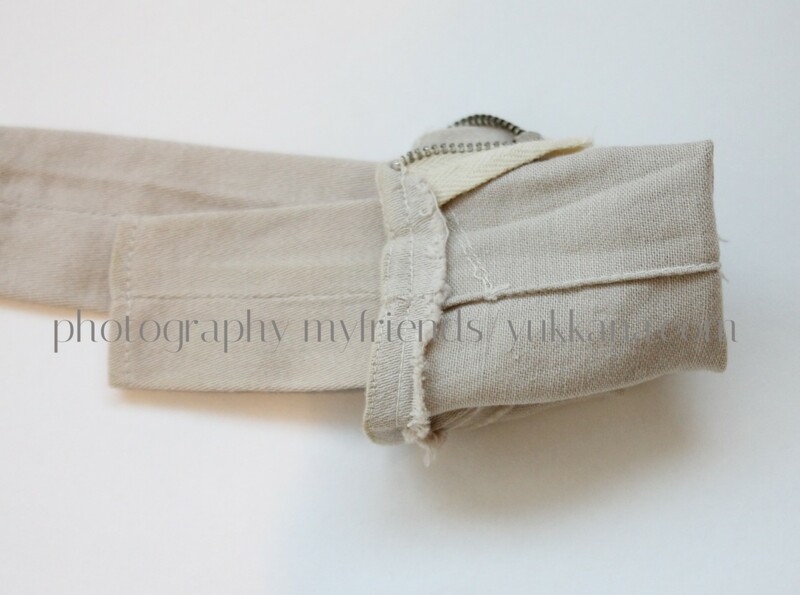 although plastic is aging, even pearl button… probably these pearl has become weak by aging, the pearl processing come off in the wash. 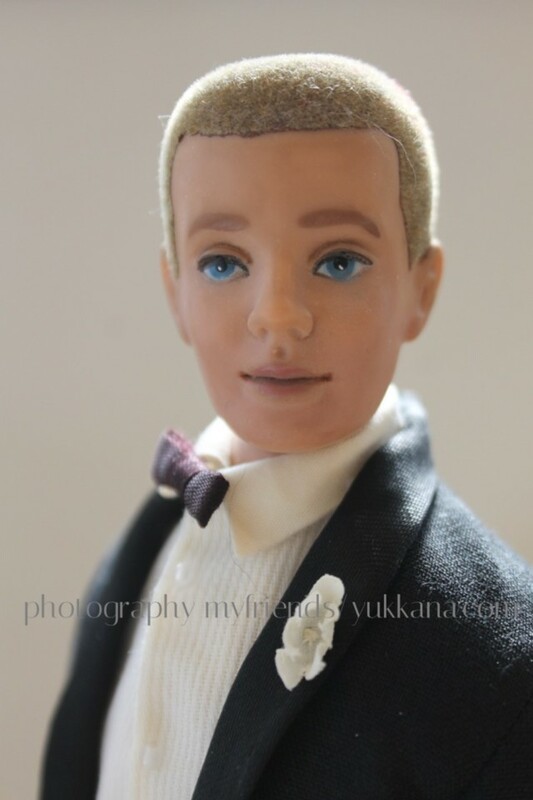 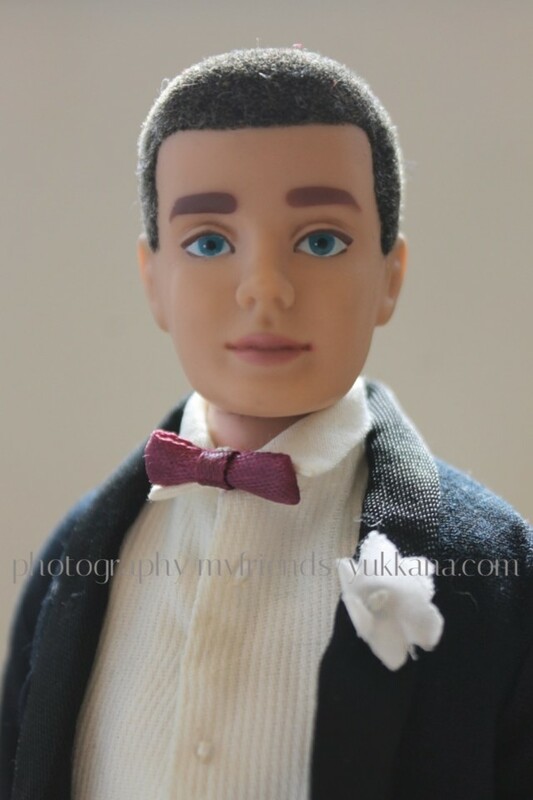 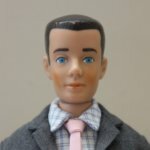 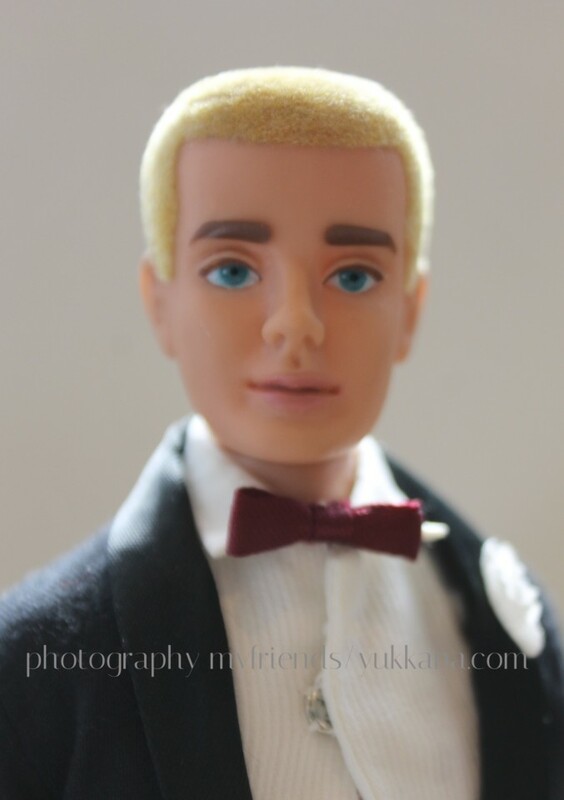 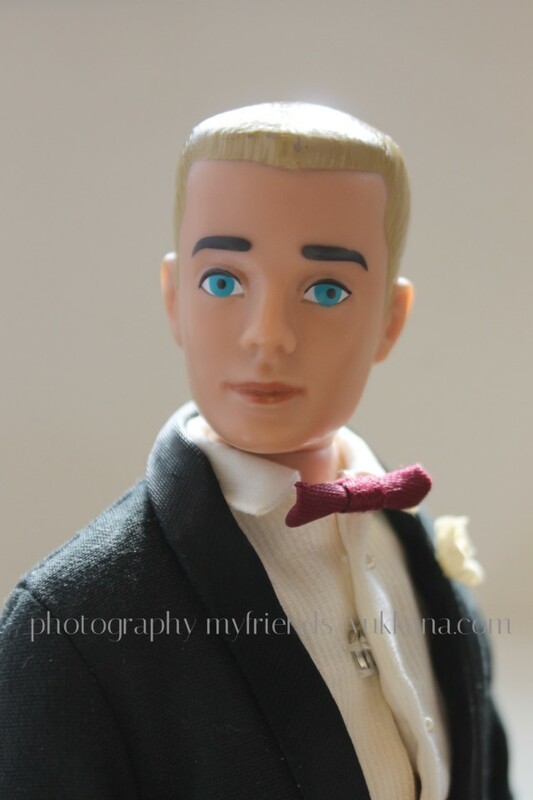 The right side of dress shirt which painted hair Ken is wearing is never washed, the buttons still has kept “pearl-processing”.